Wild lettuce is known as “opium lettuce,” but it actually does not contain any opiates. Instead, its primary chemical is lactucarium, a mild pain reliever similar to ibuprofen. As a tincture, tea or in capsule form, the leaf may promote pain relief, and it is commonly used to treat migraines and menstrual cramps. The herb is believed to be a sedative and is commonly blended in teas for those suffering from insomnia or anxiety. Fortunately, the herb does not disrupt the digestive system (unlike opium). Add some to your chamomile blend to bring on sleep faster. Although wild lettuce sounds like a leafy salad green, this common herb is anything but. Found all over Europe, India and North America, wild lettuce is actually a prickly, leafy herb that’s most commonly used in teas, capsules and tinctures. The herb – which is also known as bitter lettuce or opium lettuce – excretes a milky latex, which is believed to provided pain-relieving properties. Dried wild lettuce leaves have a bitter taste and aren’t used in cooking. Yet, in soothing tea blends or capsules, the dried leaf may provide a number of health benefits, including pain relief, sedation, and calming. Pain Relief – Wild lettuce is known as “opium lettuce,” but it actually does not contain any opiates. Instead, its primary chemical is lactucarium, a mild pain reliever similar to ibuprofen. As a tincture, tea or in capsule form, the leaf may promote pain relief, and it is commonly used to treat migraines and menstrual cramps. Sedative – The herb is believed to be a sedative and is commonly blended in teas for those suffering from insomnia or anxiety. Fortunately, the herb does not disrupt the digestive system (unlike opium). Add some to your chamomile blend to bring on sleep faster. Respiratory Health – Wild lettuce can help to soothe bronchial irritation and is used as a natural treatment for asthma. The herb is believed to help loosen mucus and promote more productive coughs. Wild lettuce grows like a weed, and it has used since ancient times. The Egyptians, for example, believed wild lettuce to be an aphrodisiac. In fact, Min, the Egyptian god of fertility, is associated with the herb, appearing in pictographs with the plant’s leaves and stalks. To this day, wild lettuce oil is used in Egypt in folk medicines, as an aphrodisiac and in cooking. Beyond Egypt, wild lettuce was also popular in Ancient Rome. Pliny the Elder may have praised wild lettuce as the “twelve god’s herb,” which he used as a cure-all for a number of conditions. And Emperor Augustus build an altar to honor the herb, after it was used to treat a bout with asthma. In modern times, wild lettuce has always had medical significance. In 1792, an American physician patented a process for harvesting the plant’s milky latex, which he used in a number of pain relievers. And throughout the 1800s, doctors used wild lettuce when opium couldn’t be obtained. Wild lettuce – or Lactuca quercina – is a member of the sunflower family, and it grows wildly in Europe and parts of North America. The herb grows to about three feet in height and produces a weak dull green stem. The leaves of the plant are toothed and narrow, and typically produce about 8 heads with yellow flowers. The entire plant makes the milky sap, which oozes out when a leaf or stalk is broken. The sap hardens when it comes in contact with air. Wild lettuce grows in many locales, and it’s very adaptable. The plant is found in woodlands, grasslands, and it prefers full sun. 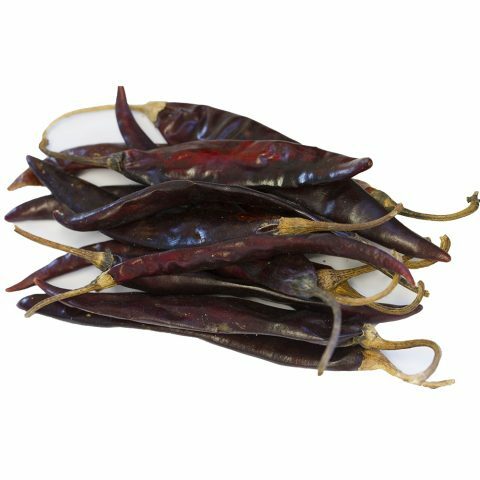 Typically, the leaves and stems are harvested in early summer, when the plant has gone to bloom. And the leaves are removed and dehydrated. Harvesters typically use stems and roots to make tinctures, as these parts produce the most sap. Our wild lettuce is grown and harvested in Albaina. Our growers have deep knowledge of the plant, and regularly produce dried leaf that’s high in essential oil content. The leaves are great for tea blends, in tinctures, or for use in capsules. 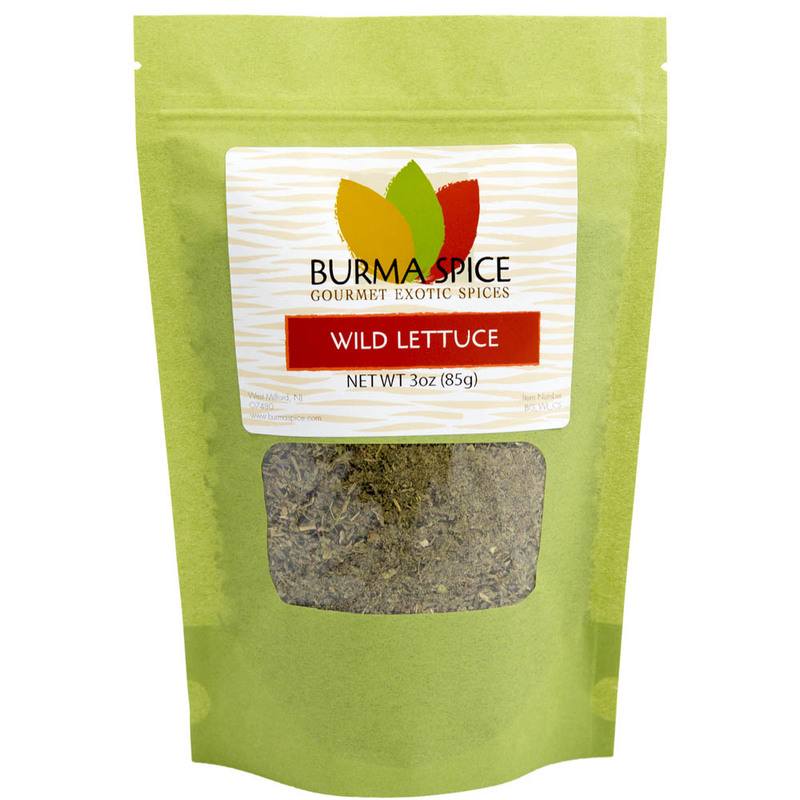 You can go two ways with Wild Lettuce: tea or extract. To prepare a tea, add 1-2 tablespoons into 1 cup of boiling water and let steep for 10-15 minutes for desired strength. Add honey or sugar as a sweetening agent if you so desire. To prepare an extract, add the 3oz bag into a pot of warm water (NOT BOILING). Soak for 8 hours. Sift and press all the liquid out of the leaves. Boil the liquid to reduce it to desired concentration.